Who knew we would have our first Halloween post on August 2nd? Had to create the Halloween 2017 keyword and everything and it's not even for Scare LA happening this weekend. 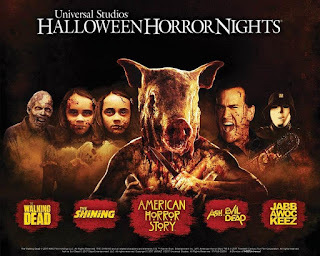 Halloween Horror Nights just put up its tickets online. So you can get a dated between Friday, September 15 and continues on select nights through Saturday, November 4, 2017. Look through the different deals and if you're willing to spend extra maybe check out the new R.I.P Tour that gets you to the best scares with ease. 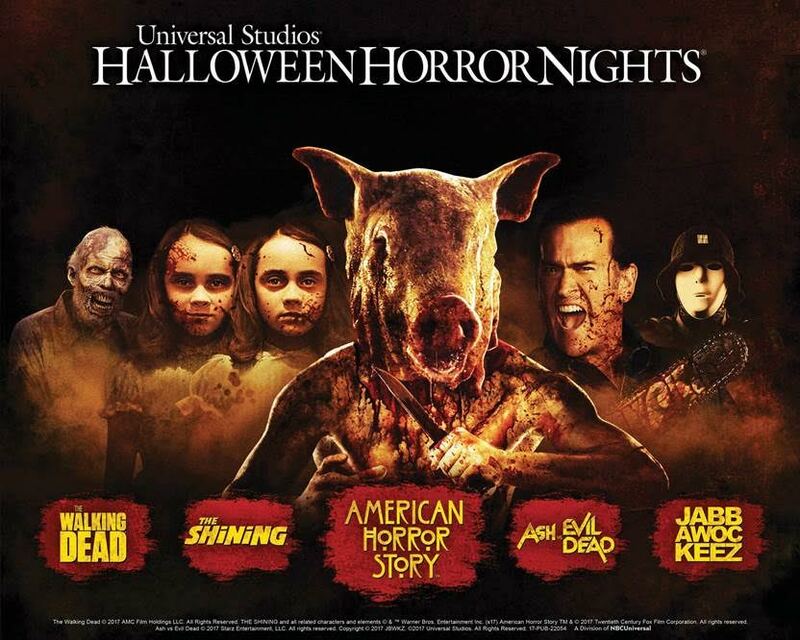 It's already shaping up to be a good one this year at Universal with mazes for Ash Vs Evil Dead, The Shining, American Horror Story, and more. Update: Knott's Scary Farm tickets also went on sale, though there's less details online on what they have going on yet on their on site. It's running Sept. 21-Oct. 31. Yes, Madea is back in what will probably be a terrible film in Boo 2! A Madea Halloween. The only thing we like about the franchise is the marketing paying homage to classic horror films. The poster above an obvious nod to The Shining. Sadly, this is a real film and it'll be out Oct 20. Honestly though, if this series were made into a maze a Universal, we would have to check it out. If it sticks to its usual schedule of release we might get Jackbox Party Pack 4 in time for Halloween and the brand new game Monster Seeking Monster. You and friends need to fall in love on your phones and you also happen to be secretly monsters. Each monster has a secret power to help them win over another's affection. Sounds weird, but we trust them over at Jackbox and it seems perfect to play at Halloween party.